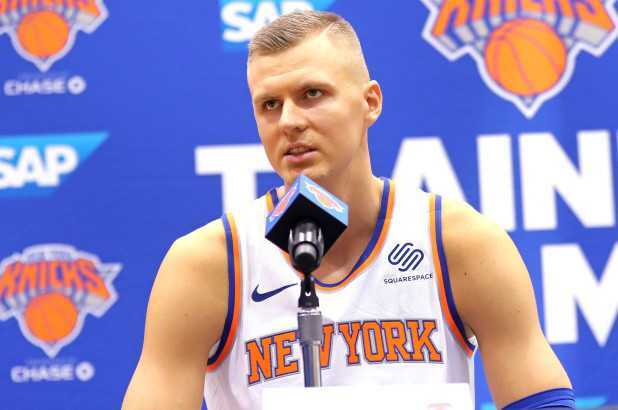 The return of New York Knicks power forward Kristaps Porzingis is in question. The 23-year-old told everyone on media day that he is taking a conservative approach with his rehab heading into the season. Porzingis also said that he is running lightly and not sprinting on the court. The doctors said that their really isn’t a timetable for a 7-foot-3 player. He wants to get on the court at 110 percent, which would benefit the Knicks for a long time. Porzingis understands that his contract extension is pending but isn’t focusing on that. Health and being consistent on the court will determine if the unicorn is back and better than ever.